Facebook is replete with tens of thousands of groups that support a huge variety of interests. Travel writing is one of them. For travel writers, journalists, bloggers, and photography professionals. For all of those who love to travel and love writing about travel, including aspiring travel writers. Pitch Travel Write is all about getting your travel articles published in print media and online. Aspiring travel writers can get tips and actionable advice here on how to get their travel articles into print and online media. Dream of a travel writing career? Want to travel more and write about it? Join our group for tips and tricks for breaking into travel writing. This is a page to ask questions, share ideas and support each other in the travel blogging world. A forum for travel writers and bloggers to share and learn! Share your blog posts or tell us about your publication! Tell us your story or tips, or just read those from others. "Inspire or be inspired." We especially encourage the posting of photos, with a short sentence of where they were taken. We are photojournalists and multimedia storytellers. This Facebook site is curated by my friend, Penny, an ardent Aussie travel photographer & blogger. For travel journalists and public relations professionals representing travel destinations. This is an advanced level blogging group of trusted, qualified and EXPERIENCED travel bloggers (must have already been working with brands). To join you must pass an application process. 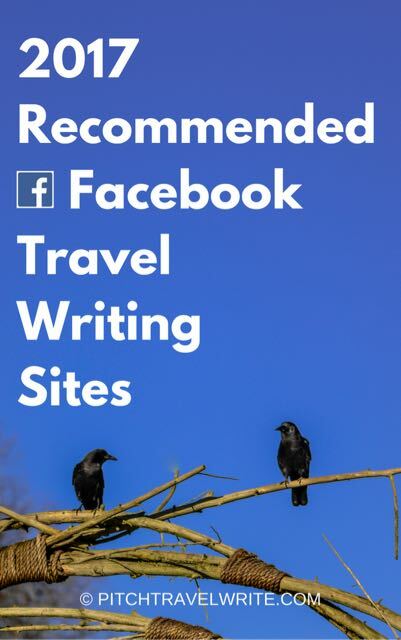 Travel Writers: Can Social Media Help You Get Published?